I had a little snowman family going on: baby snowman, mama snowman, and papa snowman. 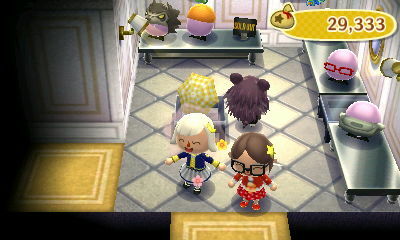 As a repayment for the time when Saima had Katie in her town and I didn’t have Kaitlin in mine (probably because my town was behind), I gave her three Katie & Kaitlin items. While picking up the furniture I dropped for her, she accidentally picked up a present. Actually, guests are free to pick up one or two presents if they want a surprise — it could be anything from a toilet to a backyard pool. 😛 But there probably won’t be anything too rare. The purpose for Salt coming over instead of Sugar was because he had enough free pattern slots to pick up my fountain patterns. Shortly after Salt’s visit, Aurora from Anicotti moved in — a fitting neighbor to have in the wintertime. 😛 I loove that shirt! Another perfect snowman. ^_^ I got my first snowman gift in the mail, a snowman bed. After cleaning out my secondary character’s mailboxes recently, the rest of Kammile’s letters came in, so fortunately nothing was lost. Thanks so much, Kammile! A decent one without any speech bubbles, but it has some of those ghostly outlines in the sky that I try to avoid in these types of pictures. 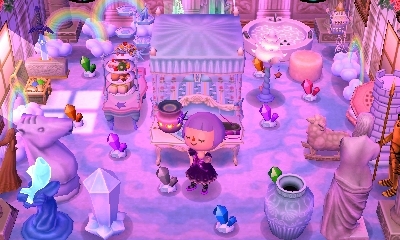 Every Kody I’ve met (when resetting and such) likes to collect shells, so maybe each villager has a set starting hobby? I think Rosie’s starting hobby is collecting clothes, for example. After that, Mallow came over to Dafdilly for a bit. After showing her the changes I started to make to my main room for the holidays, she had to leave and I had to go to bed. 😛 Thanks for the fun WiFi, Kammile! I still have a dining area, but I had to take away a few chairs (only 2 people can be in a house anyway -_-) to make room for the tree. They were changed to red and green econo chairs to fit the colors throughout the room better. The cozy reading area by the fire has been tweaked slightly as well. My character’s rooms were mixed up a bit, not because I didn’t like the old ones, just for a change. This is Twisk’s new garden. Harmony’s room is the same, but I changed the wallpaper and carpet to the ones from the snowman theme. I’m not a big fan of the snowman furniture, but the carpet is gorgeous! My sporty character Melody now has a ski lodge as her room. I’m pretty sure this sea bass I caught was the winning fish because I checked right before the Fishing Tourney ended and it was still the highest record. I was prepared to give a tuna, so I’m glad I didn’t have to. And my first football fish. I haven’t been fishing much lately, so it’s good this Fishing Tourney came along to get me catching these Winter fish! 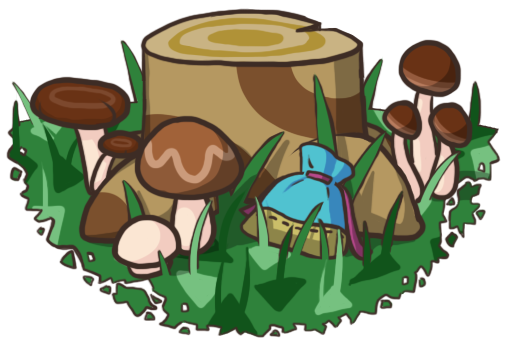 Posted on December 18, 2011 by Amy •	This entry was posted in AC:WW, AC:WW WiFi, Dafdilly and tagged Animal Crossing. Bookmark the permalink. That snowman family is awesome I created a snowman at 12am so now I have to wait until tommorow to make him a snowlady. Thanks! I like putting snowmen next to each other. 🙂 I’ll check it out! I agree, and it looks so warm. 😀 You have a great Santa outfit yourself!